Each skier has to ask a question, what type of poles do I need? What style? What length? And what material should they be made of? Recommended length for classic style is 81-84% of your height. Ideal poles should reach your shoulders. If you use both of your arms simultaneously, you can opt for longer poles, skiers who change arms may choose shorter. The skier's height is measured including ski boots. The height of the poles is measured from the tip to the highest point of the pole. In case of skate style, the recommended height of poles is 88-90% of your body height. Stand up in your boots and look straight in front of yourself. The rule of thumb is that the poles should reach between your chin and upper lip. The point is that you shouldn't feel like you have to raise your arms too high. 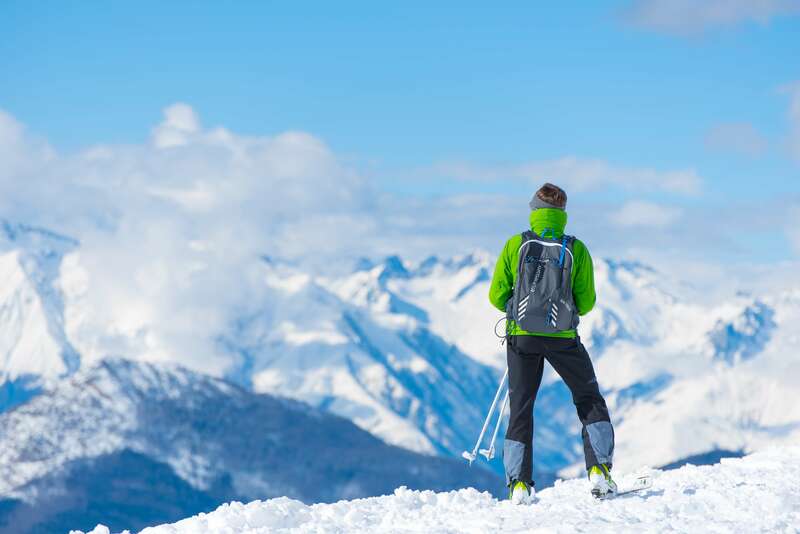 Recreational skiers may opt for poles with 80-82% of their body height. 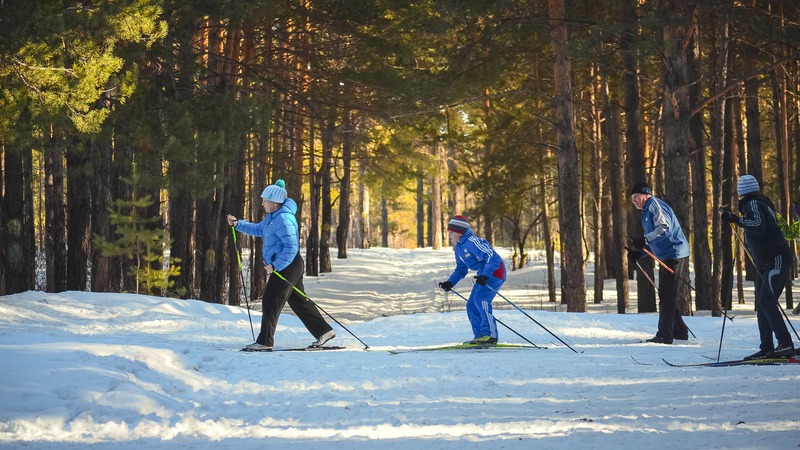 Poles for casual cross-country skiing are recommended to be slightly shorter, so you don't have to raise your arms too much. The choice of length largely depends on individual preferences. If you prefer certain length which doesn't correspond to any size table, it is not wrong. 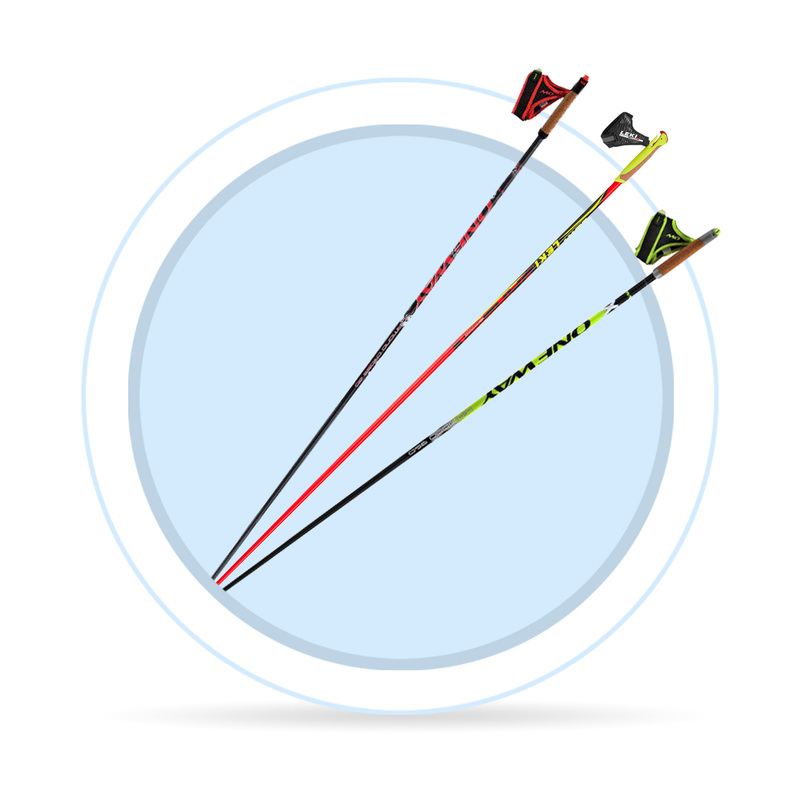 Generally speaking, faster skiers use longer poles on flat terrain. In case of hilly trail, shorter poles are easier and more effective.